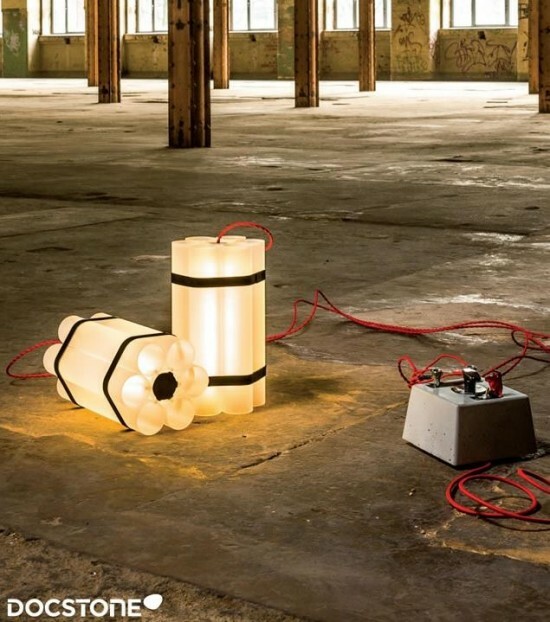 German design studio Docstone has created a pair of lights that look like sticks of dynamite with detonators. 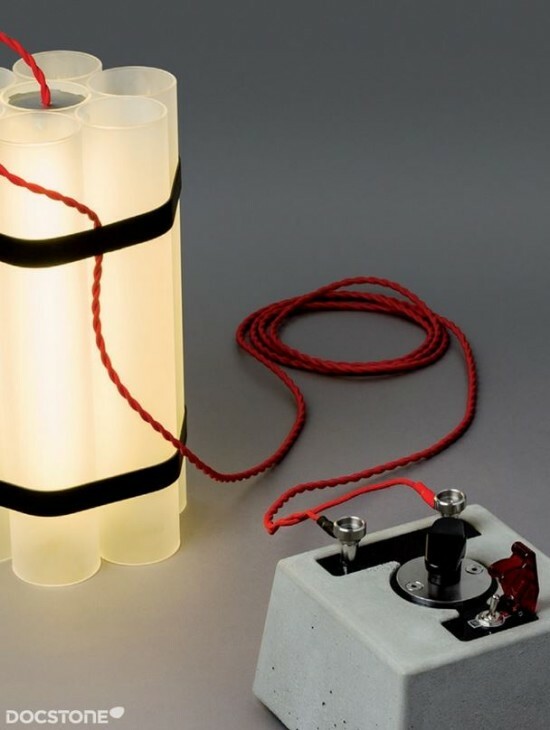 Mister Boom takes the form of an old-fashioned plunger detonator made of concrete that connects to one or more glass “light bombs.” Little Miss Dynamite features a more modern switch-style detonator that pairs with one to two light bombs. 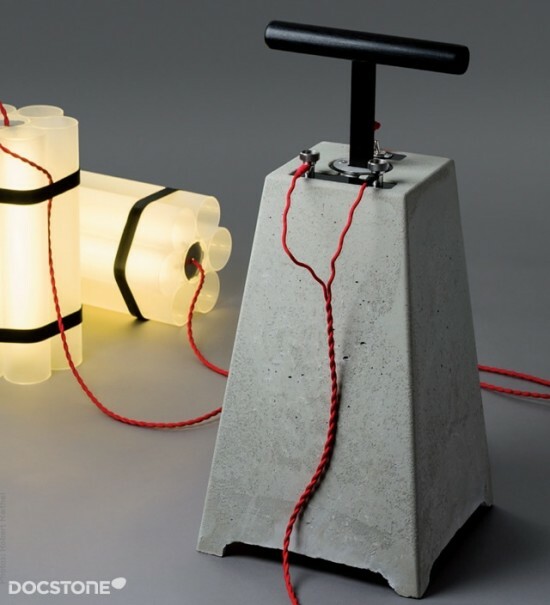 We’re guessing shipping is somewhat awkward for either of them.